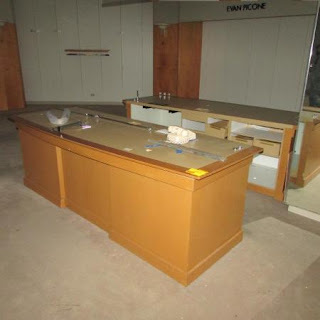 This is very sad news for me and lots of other Minnesotans Macys on Nicollet mall will be closed by March of 2017. 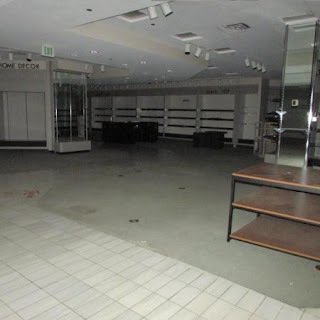 I am going to share with you my experience of my first visit to this amazing landmark this was back when was in 4th grade and I recently had become fascinated with retail history. 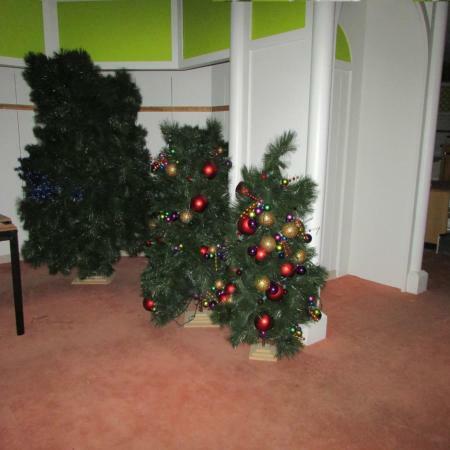 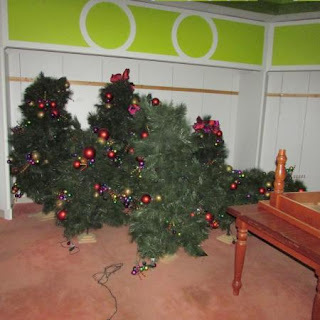 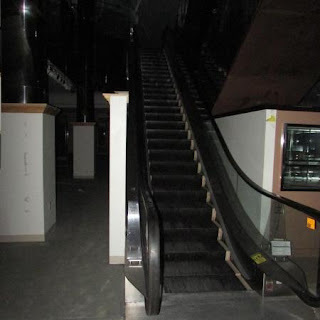 I was on a field trip to the mill city museum and of course afterward I wanted to go to macys. When I arrived I was Amazed at this beautiful dept store now mind you this was the first time I was in a large downtown retail store. 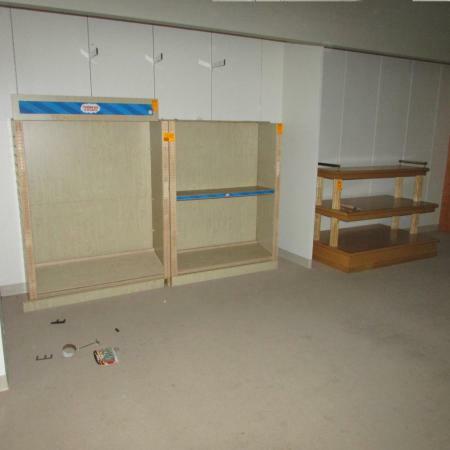 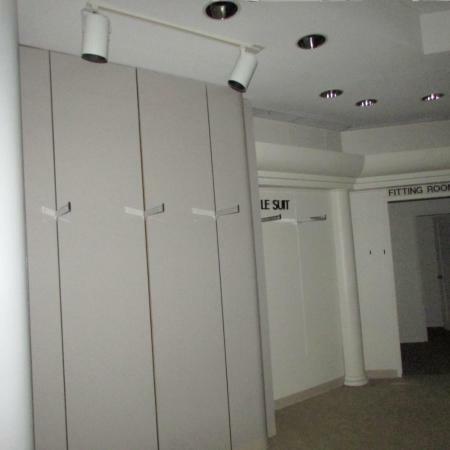 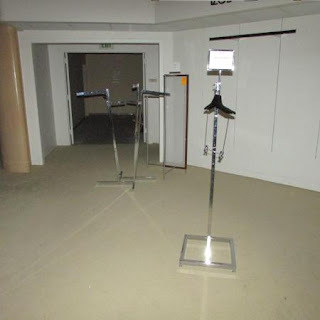 I wandered around the basement and all of the floors open in between. Eventually I rode the elevator up to the 12th floor where the skyroom and the oak grill are they are both very cool awesome restaurants with superb food. 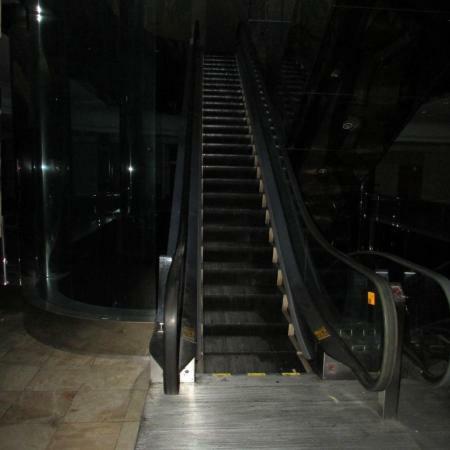 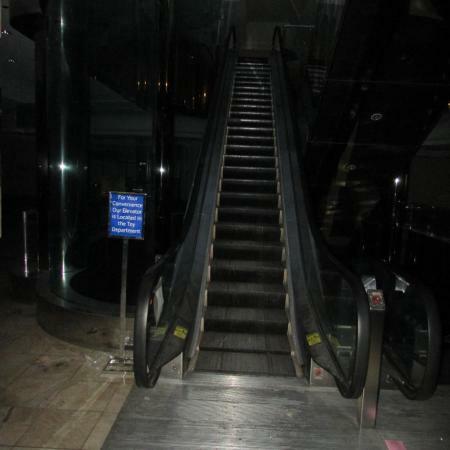 And then I decided to walk down all of the shut off escalators through the closed off floors this was sincerely creepy I reached the main floor and later bought a box of Frango mints and left. 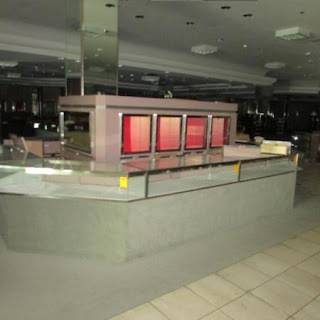 almost a year later I went to the former Marshall fields in downtown Chicago now macys it is also gorgeous. 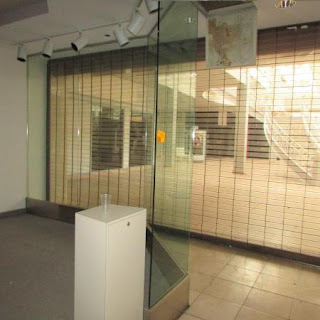 I am very sad about the closing it kinda depresses me something you might call a quote of mine would be "a downtown without retail is like a flower without petals " . The basic meaning a downtown without a big cheery department store is dark useless and bleak and just plain awful. I will go back several times before it is closed and hopefully before the restaurants close on January 27th. I will talk to employees about getting a few souvenirs and if I do I will show you here. 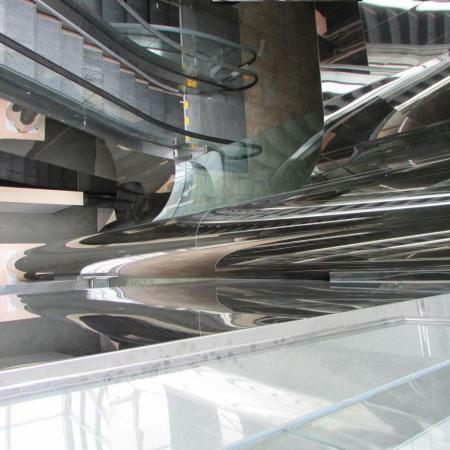 I will eventually combine photos from all of my trips into one post for now there is one post with my first visit photos. 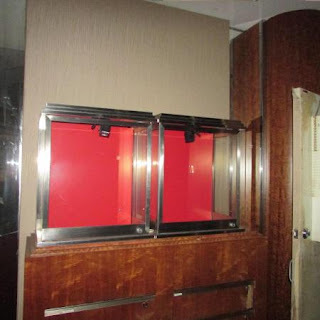 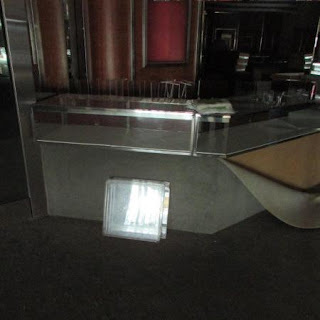 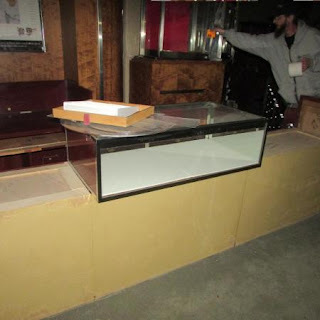 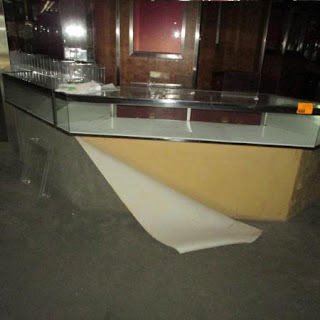 Feel to share your memories of Dayton's in the comment section below. 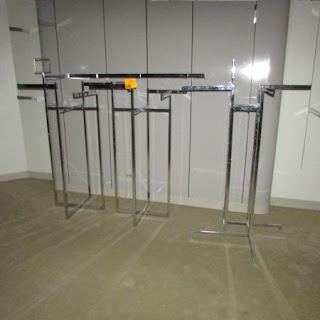 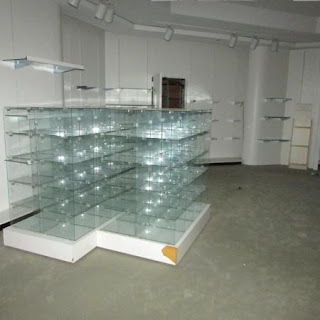 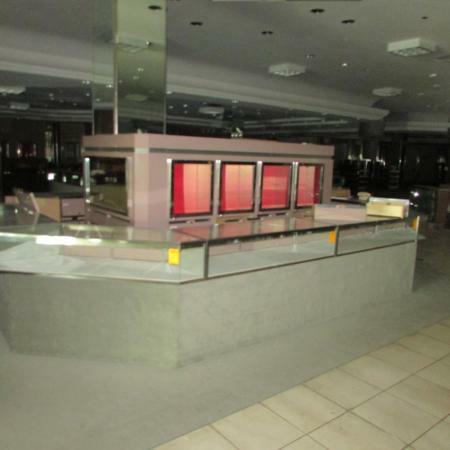 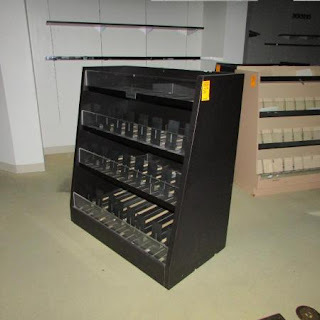 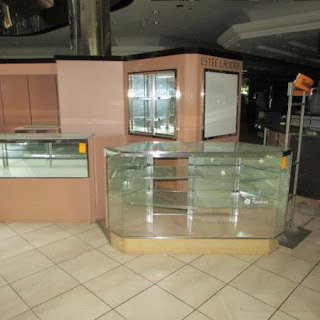 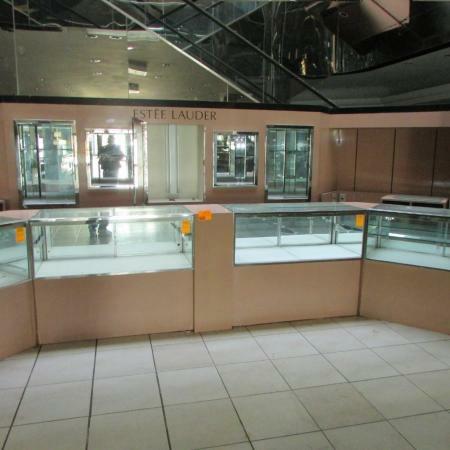 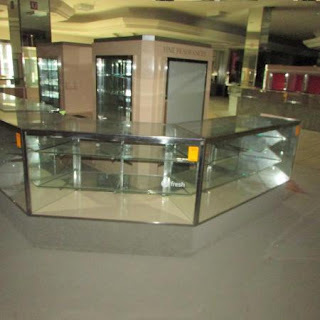 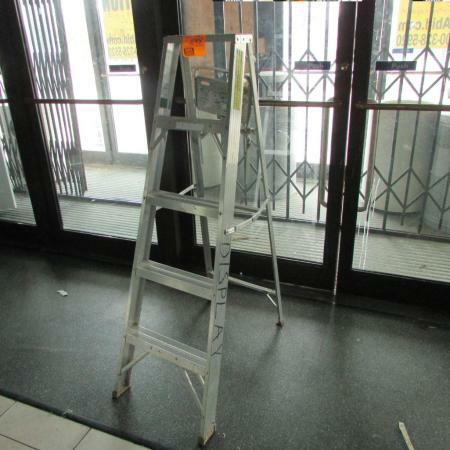 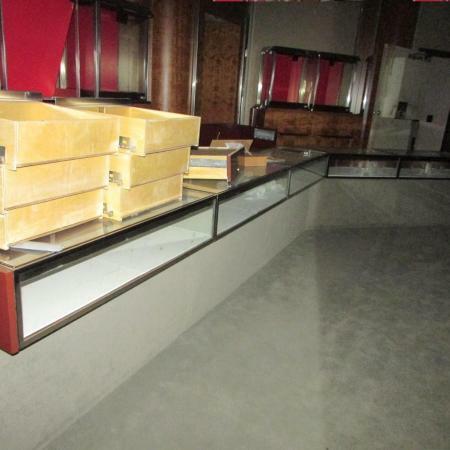 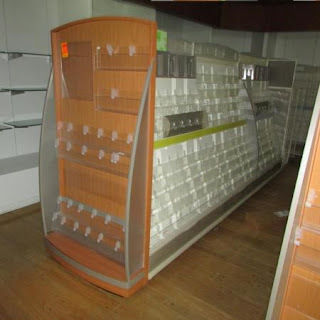 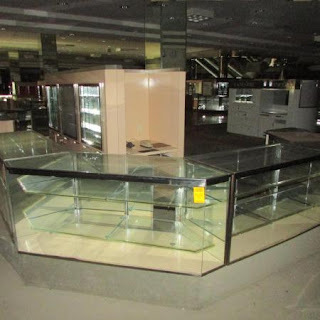 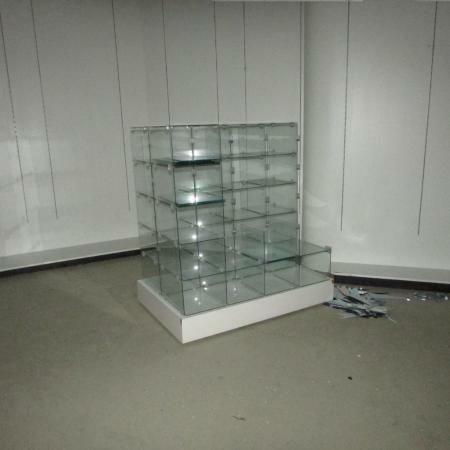 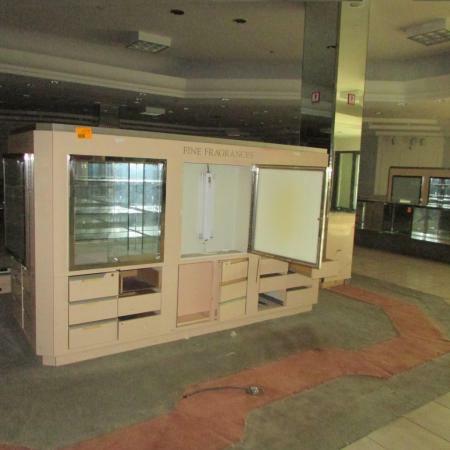 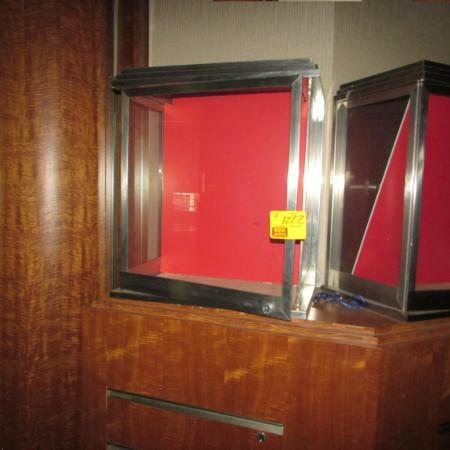 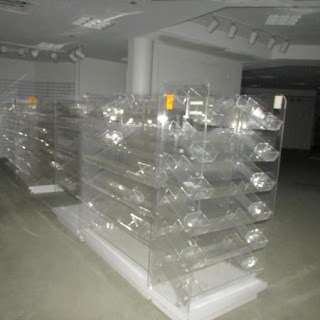 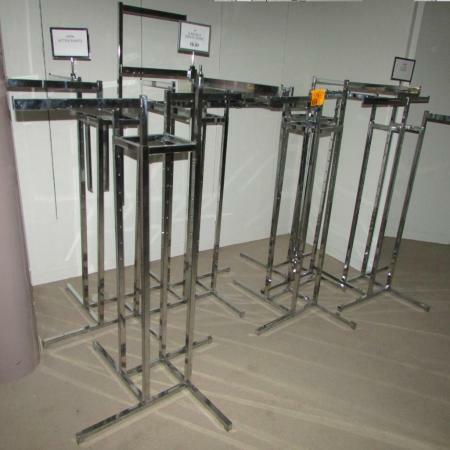 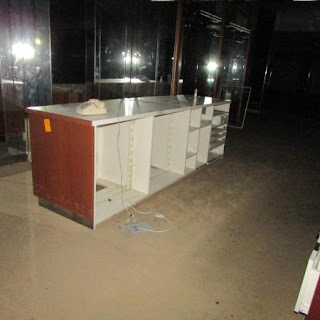 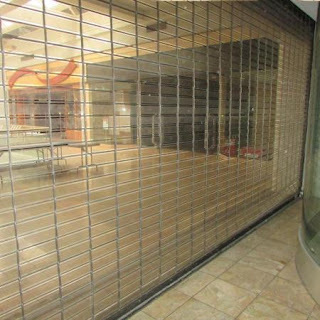 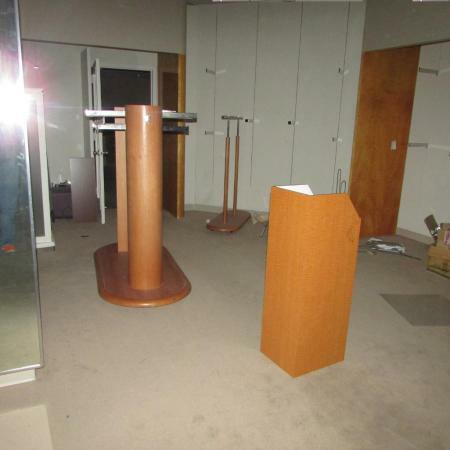 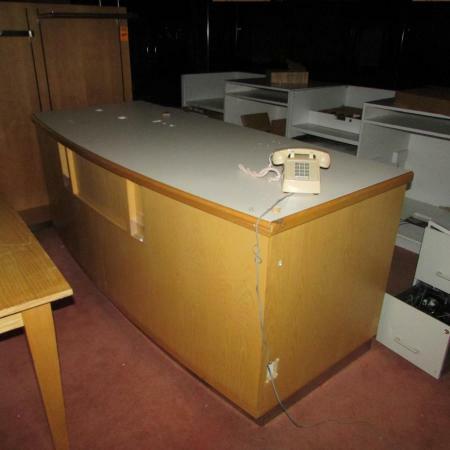 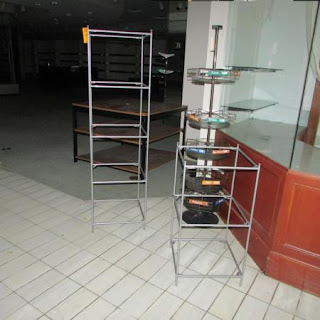 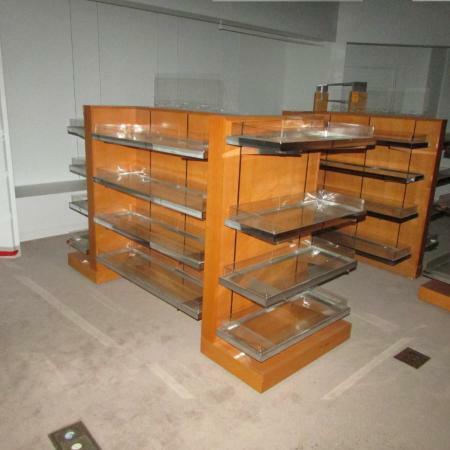 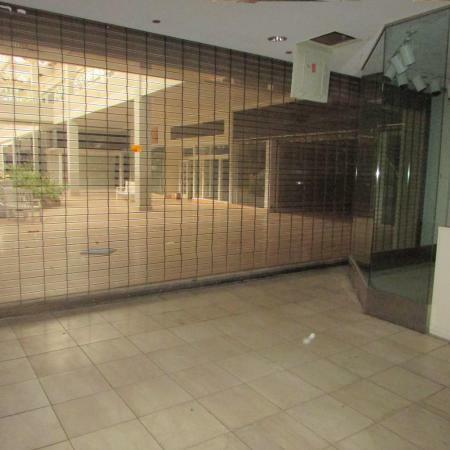 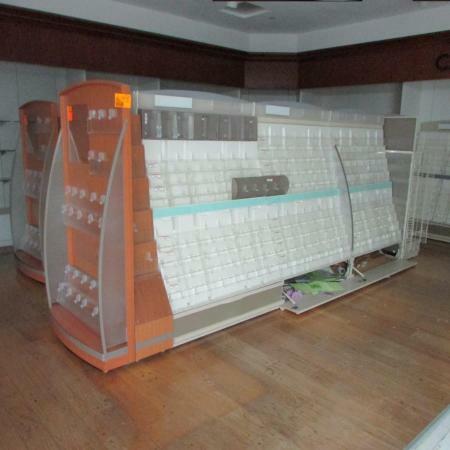 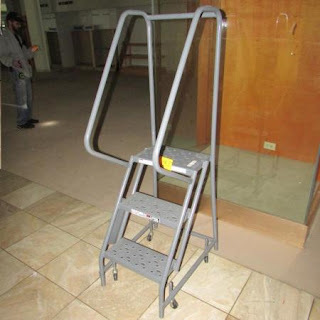 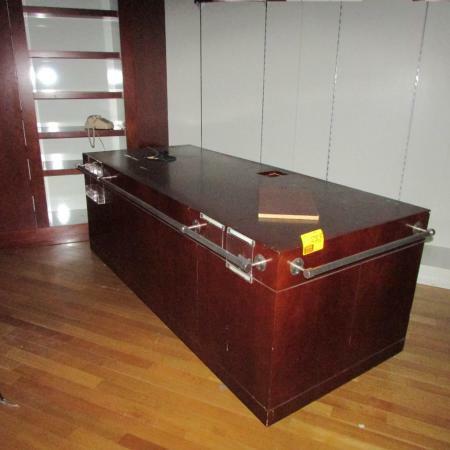 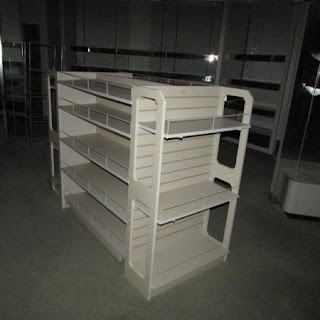 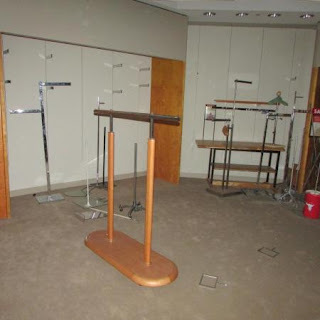 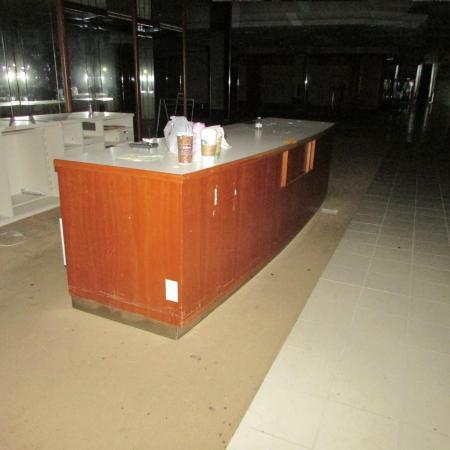 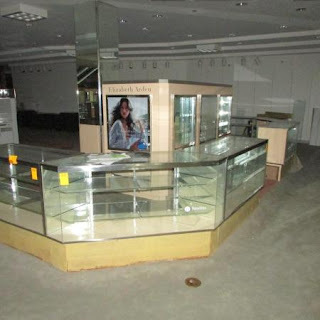 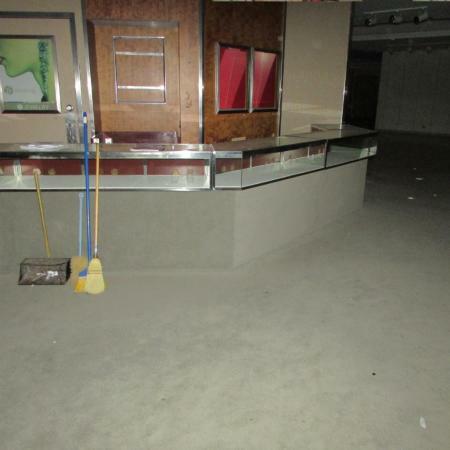 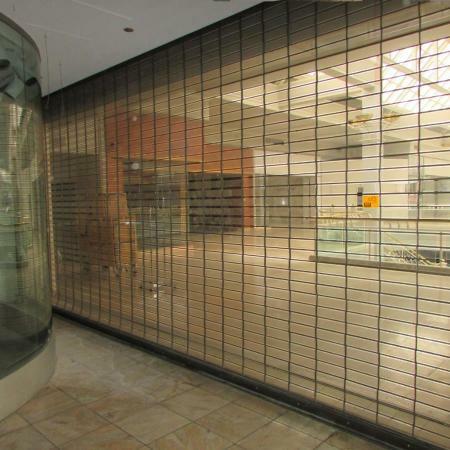 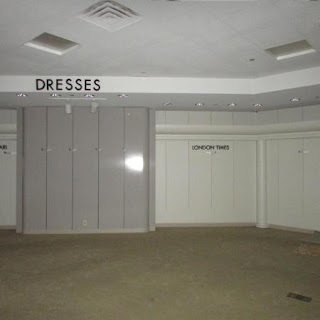 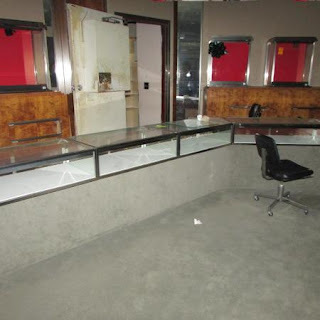 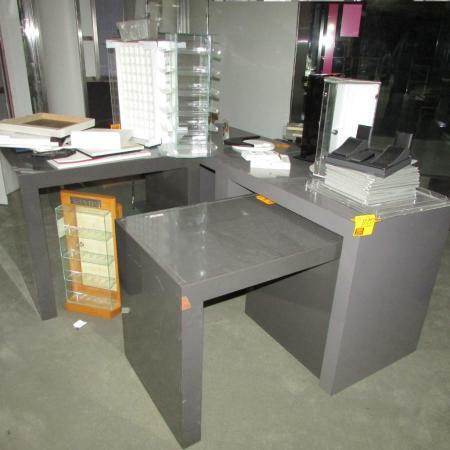 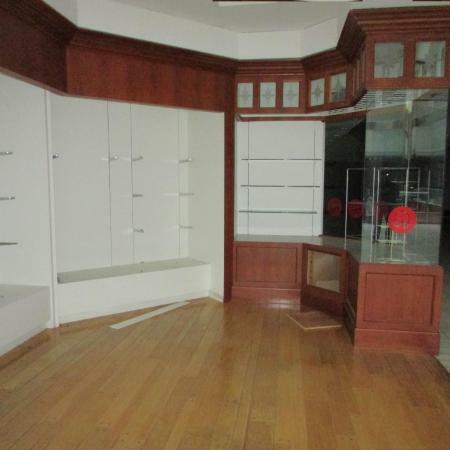 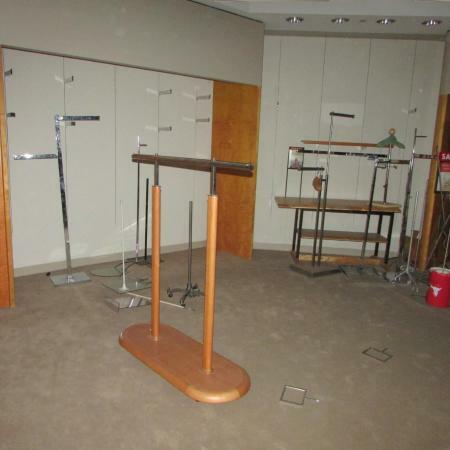 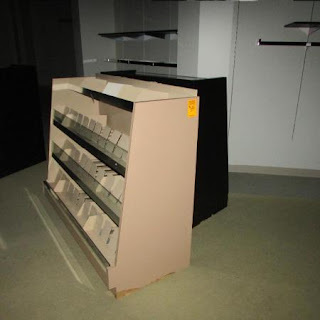 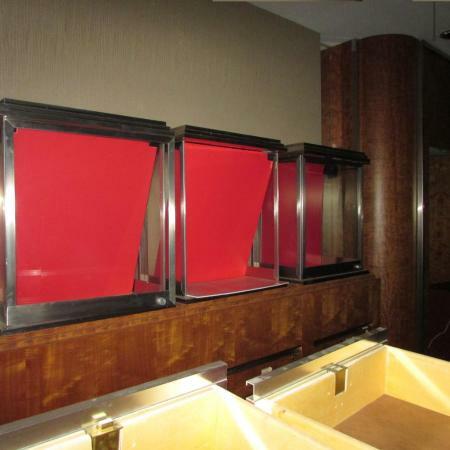 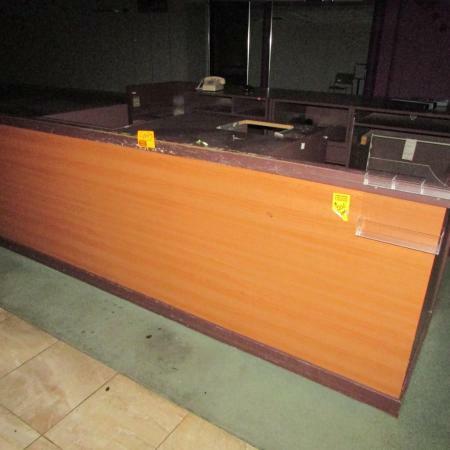 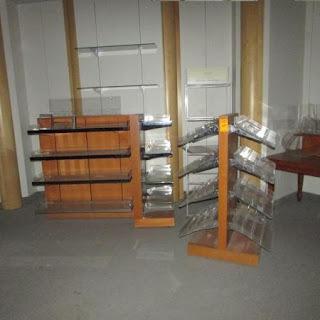 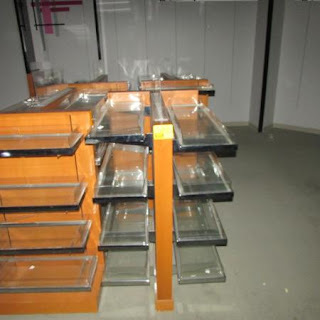 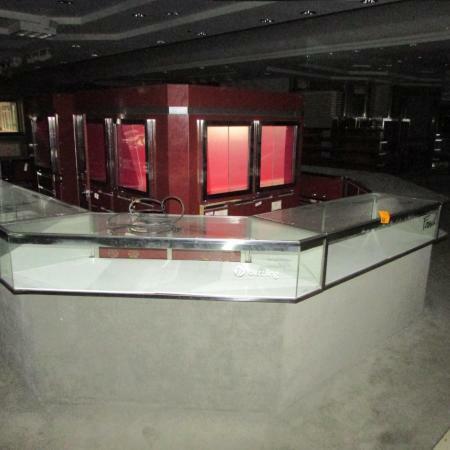 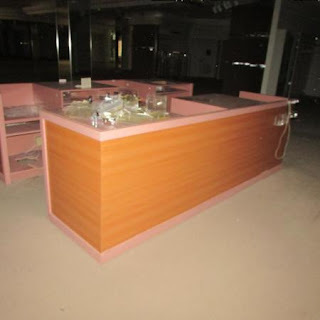 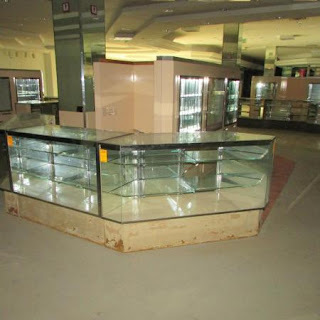 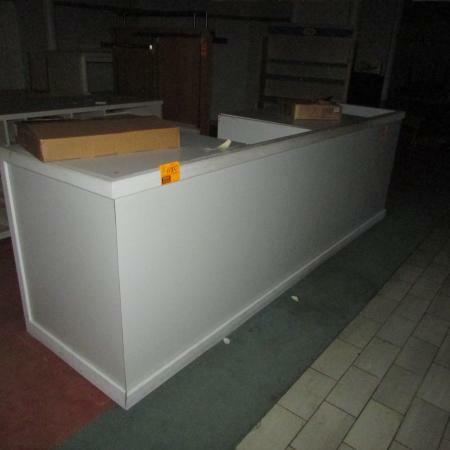 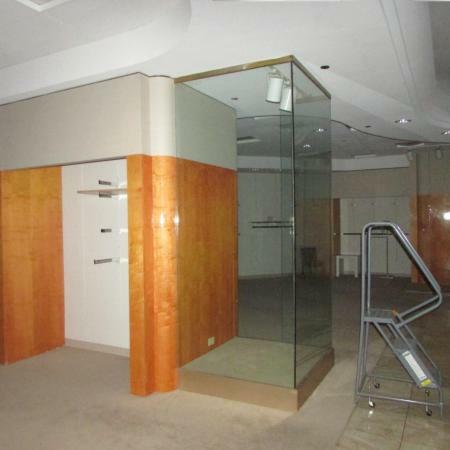 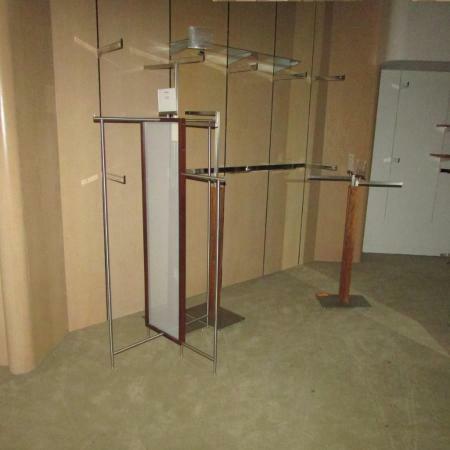 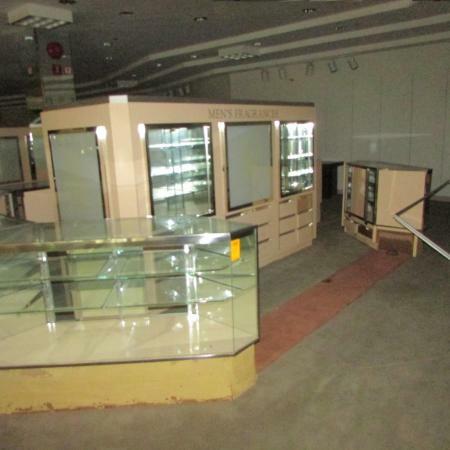 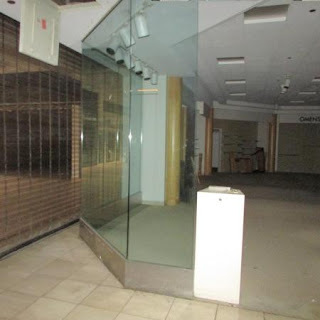 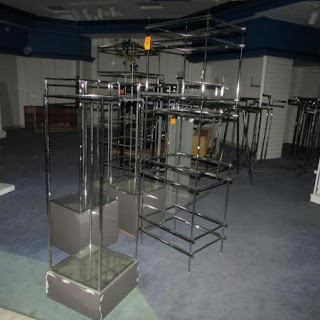 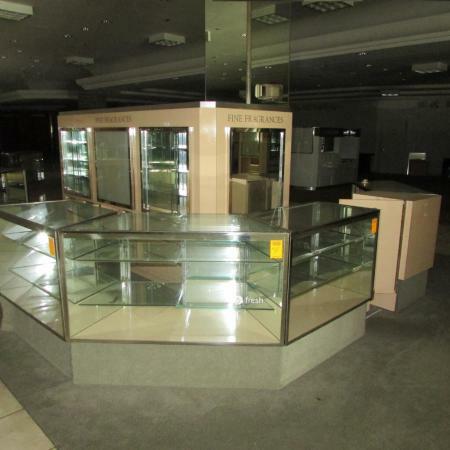 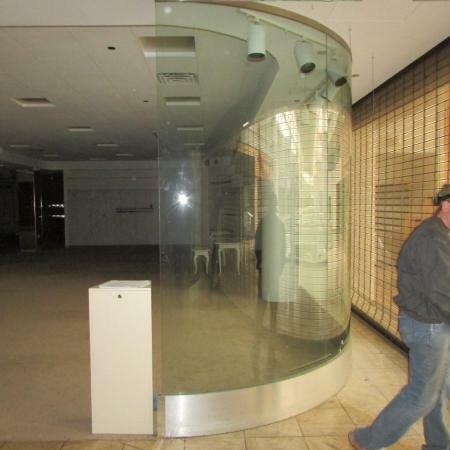 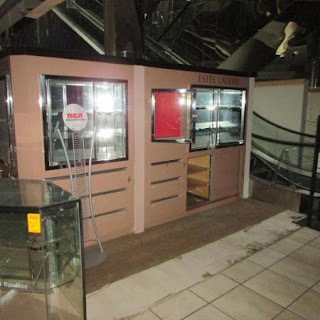 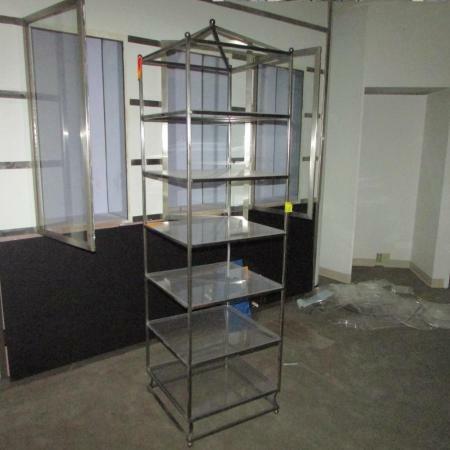 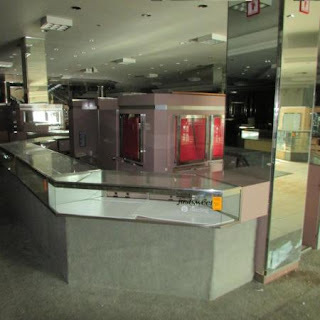 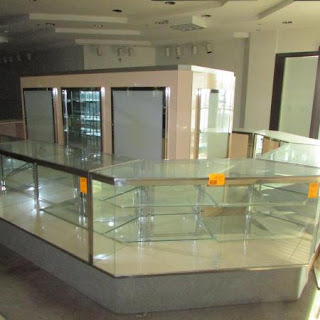 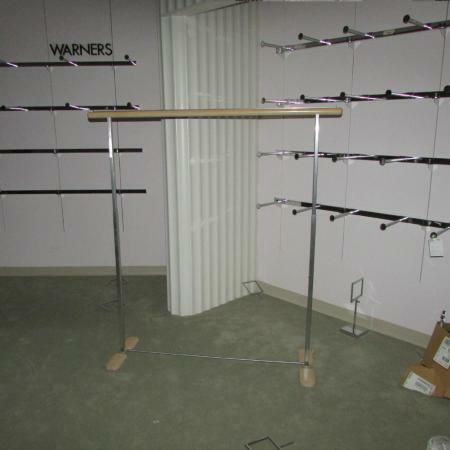 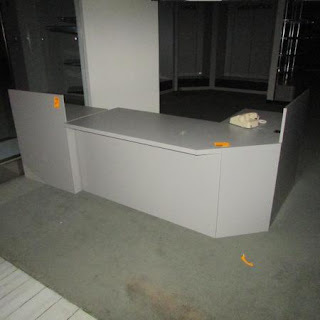 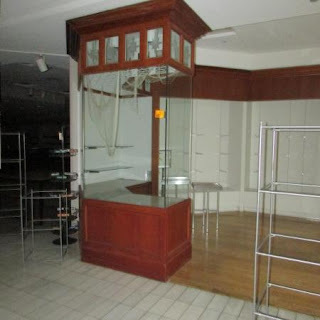 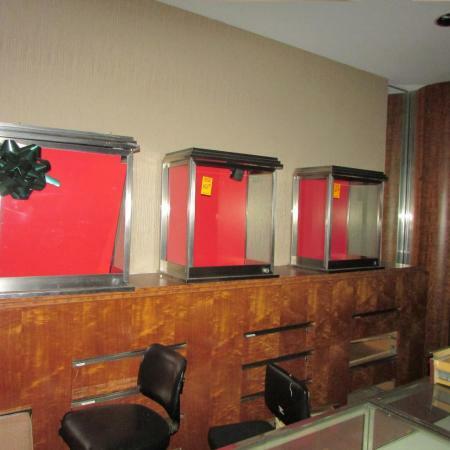 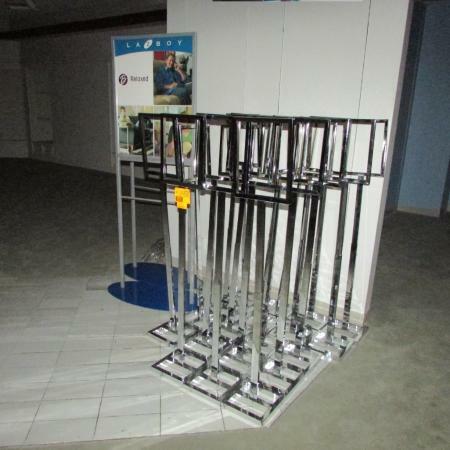 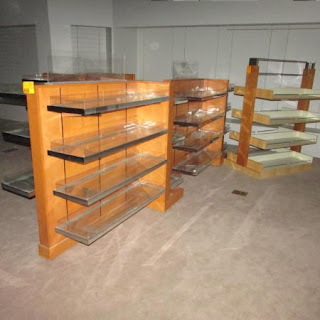 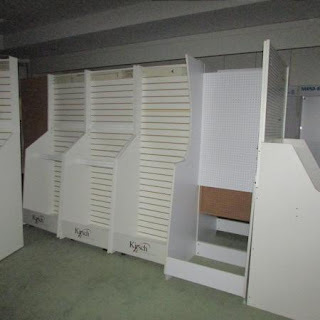 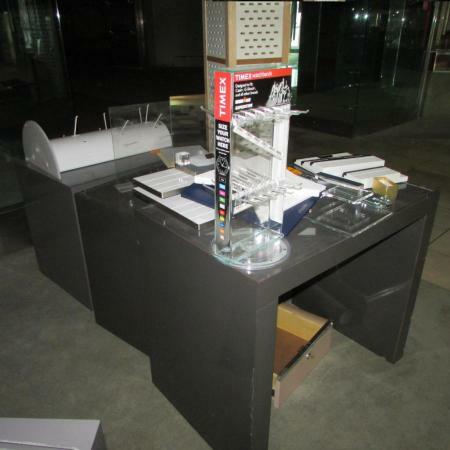 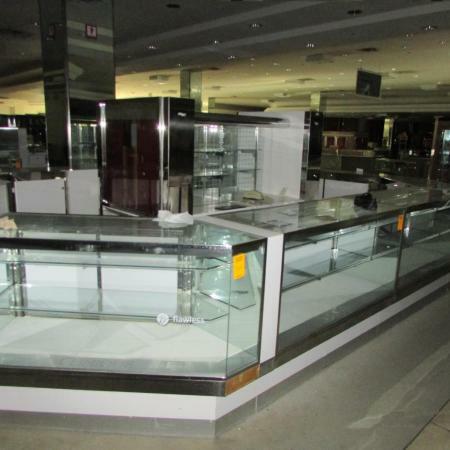 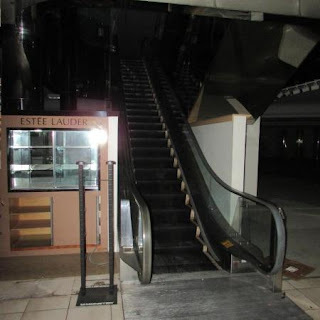 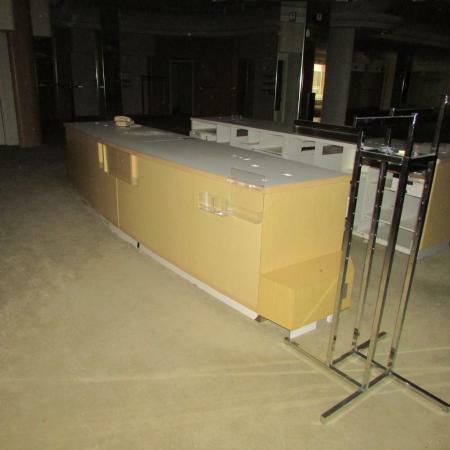 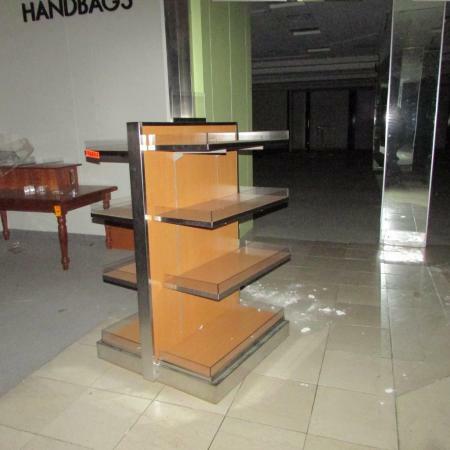 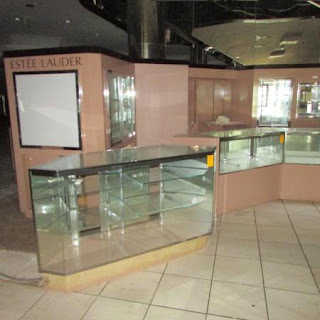 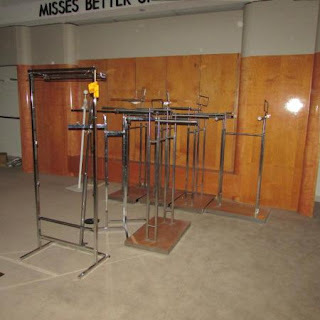 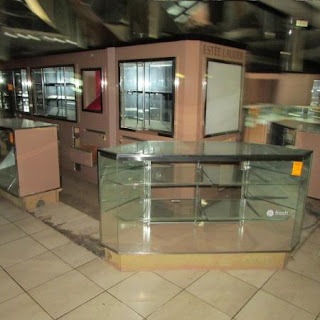 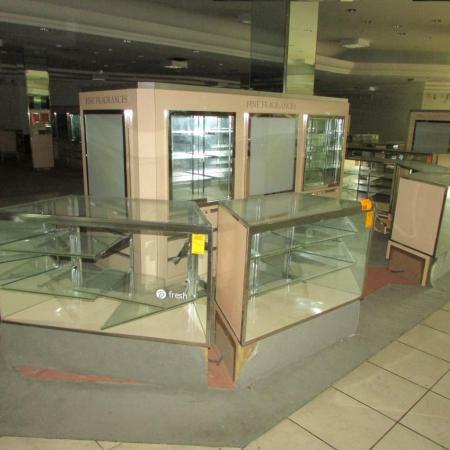 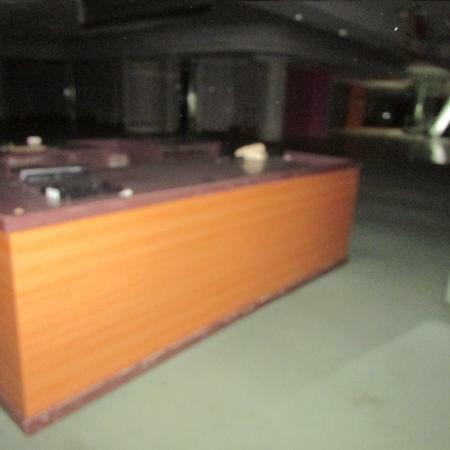 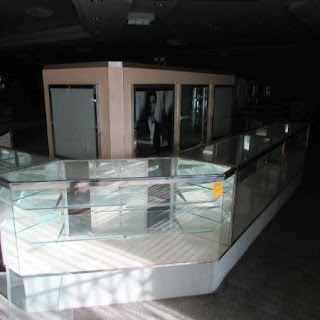 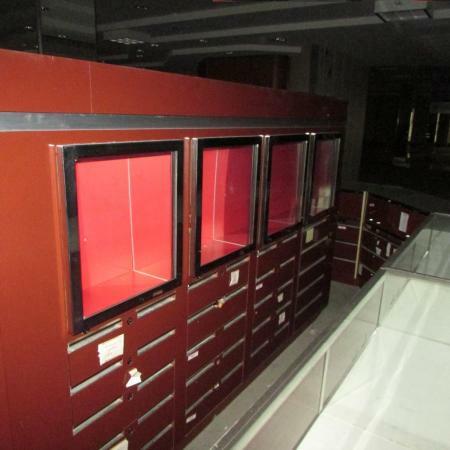 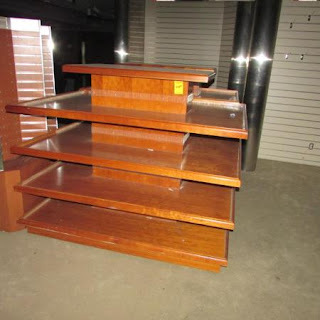 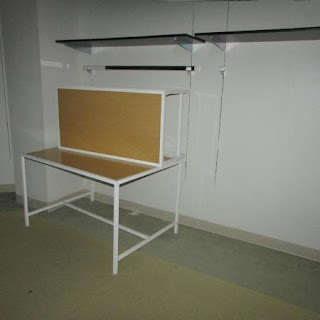 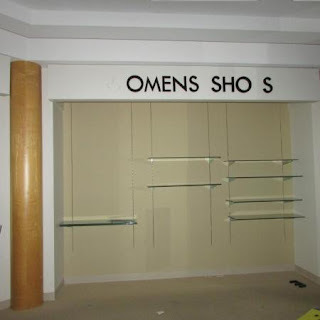 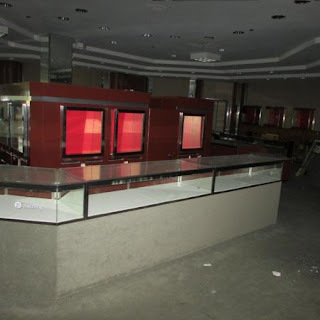 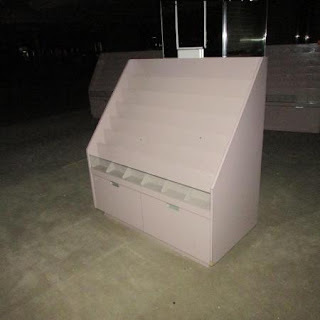 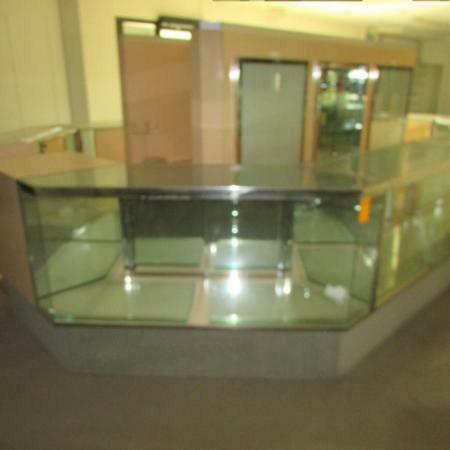 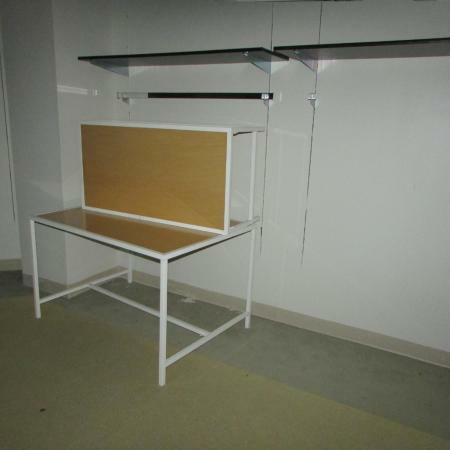 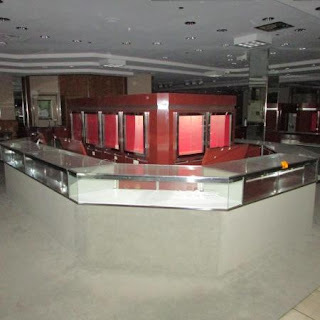 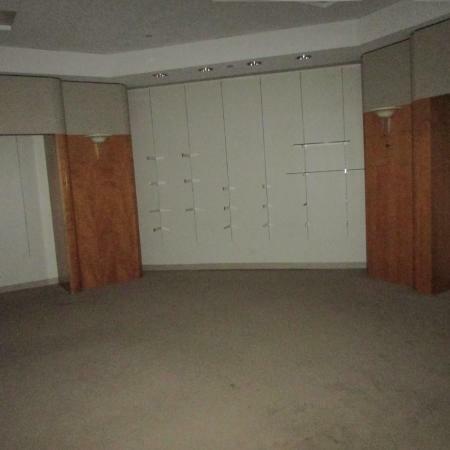 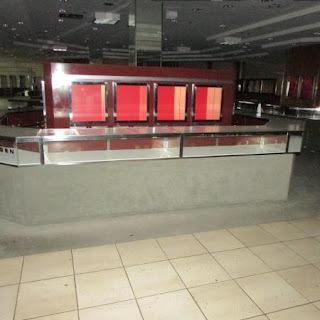 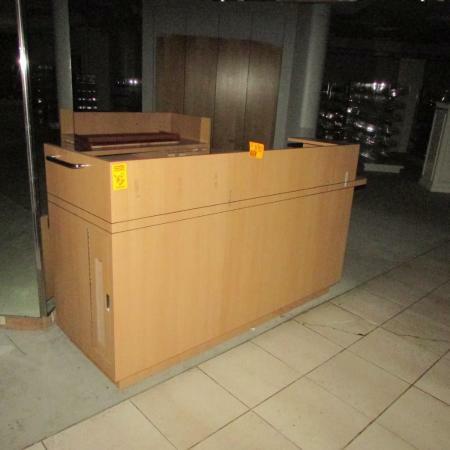 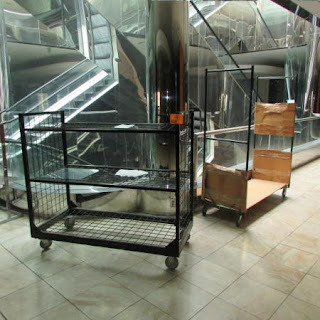 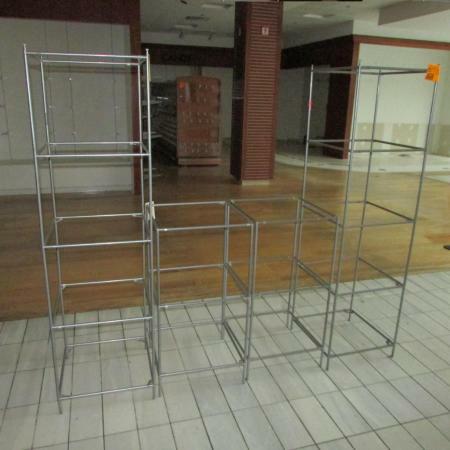 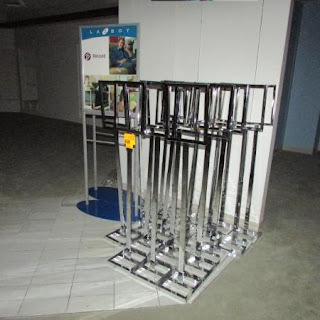 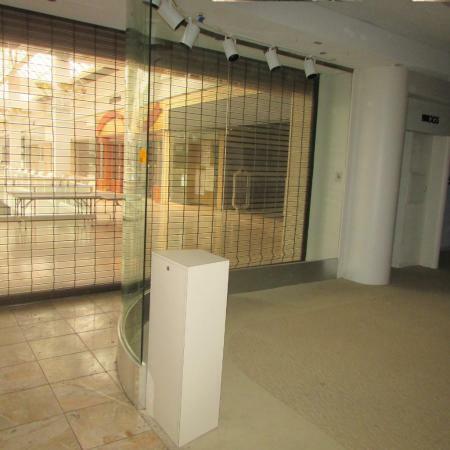 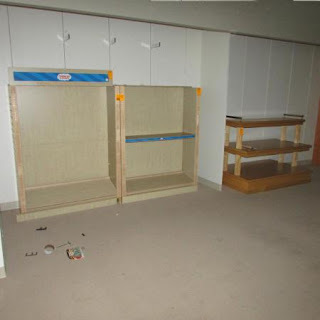 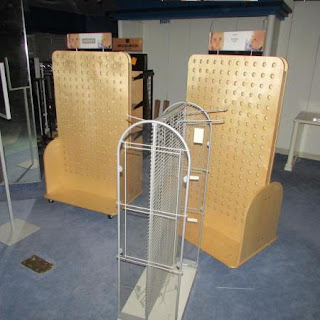 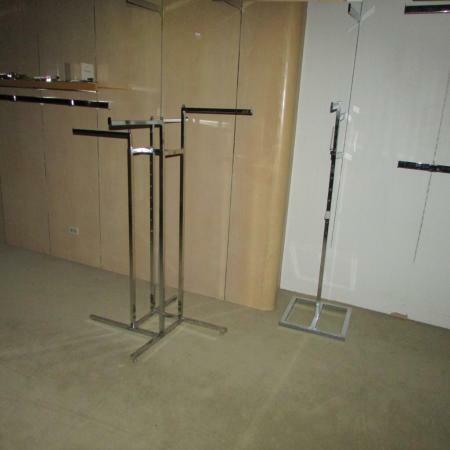 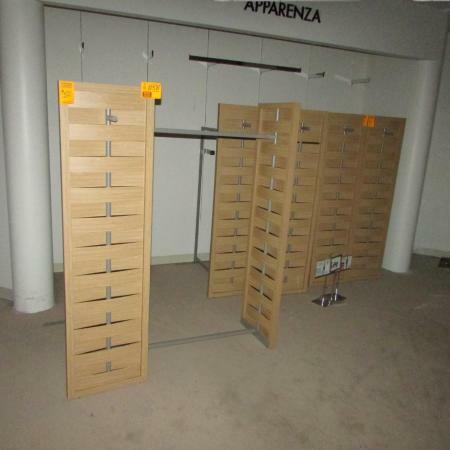 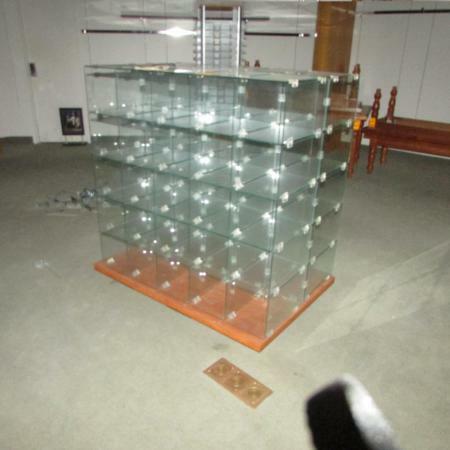 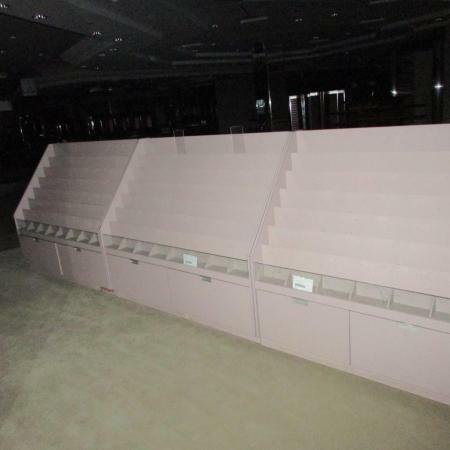 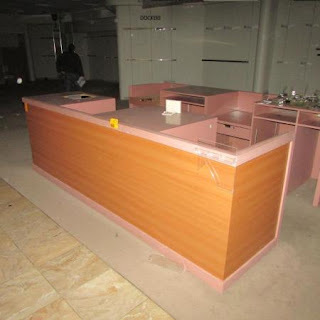 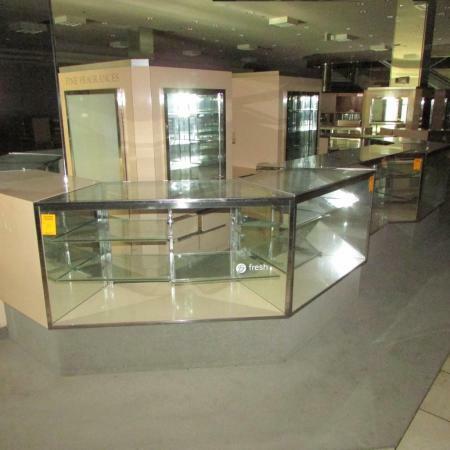 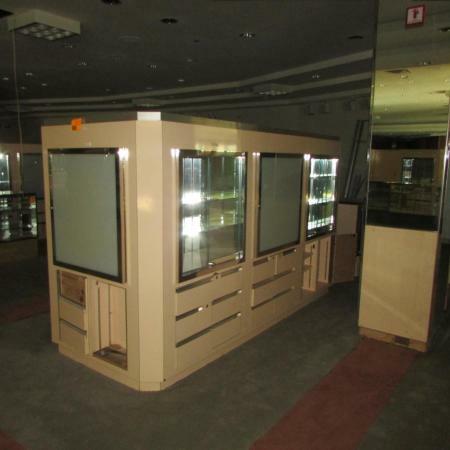 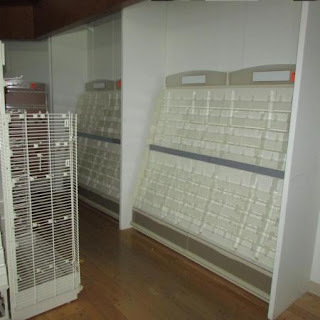 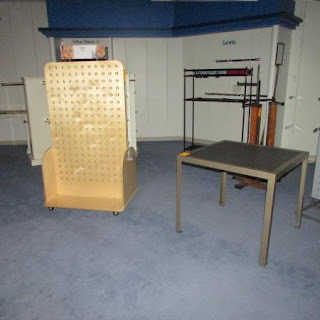 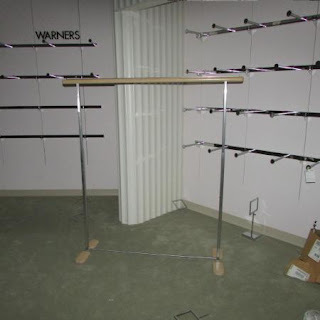 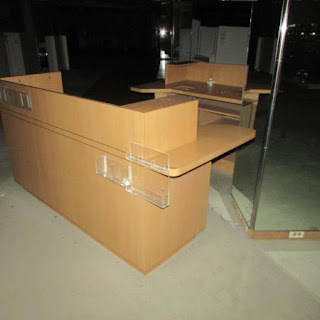 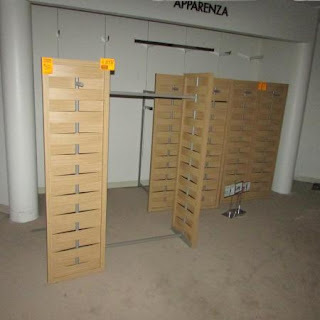 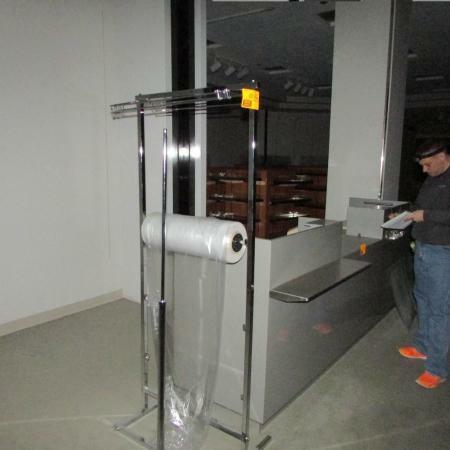 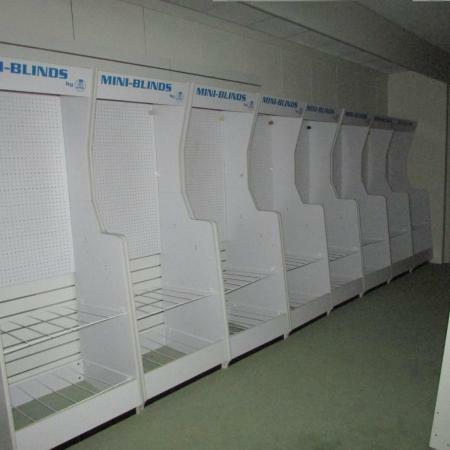 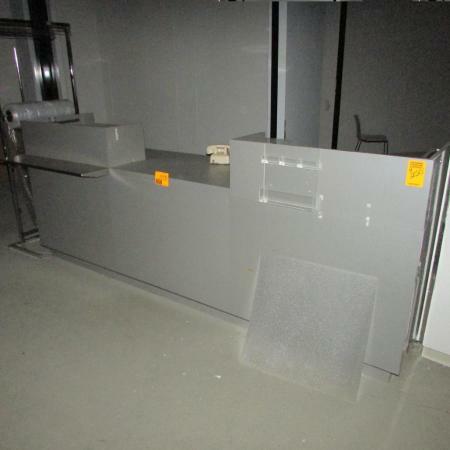 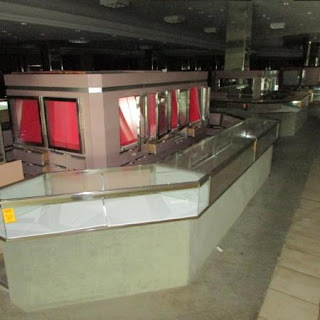 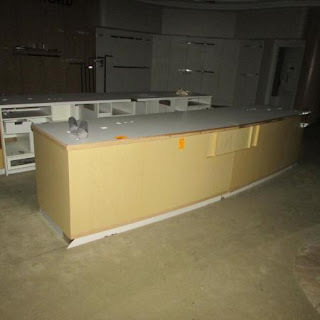 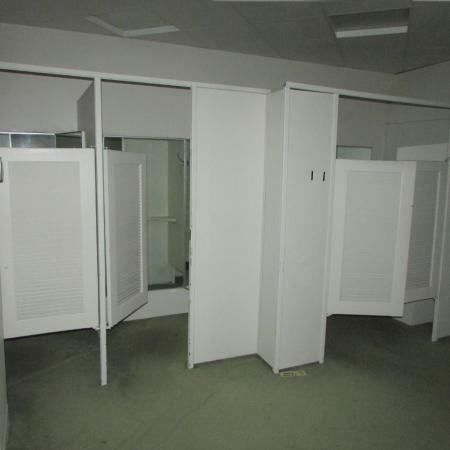 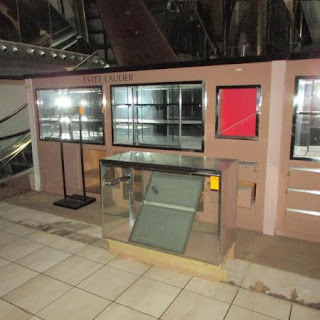 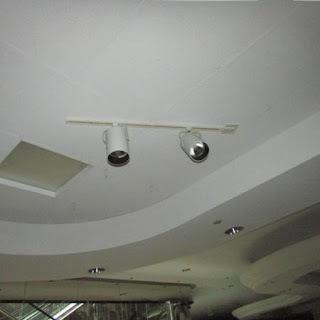 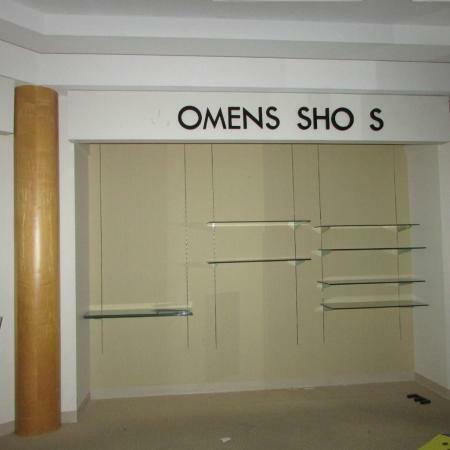 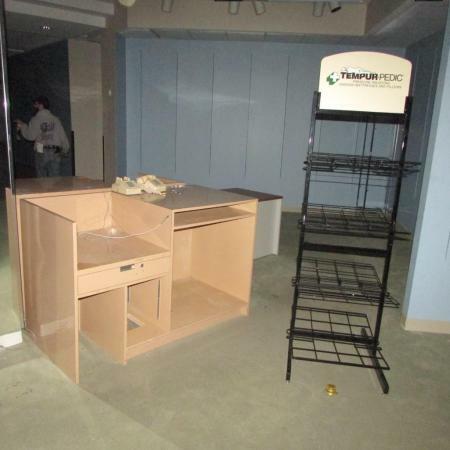 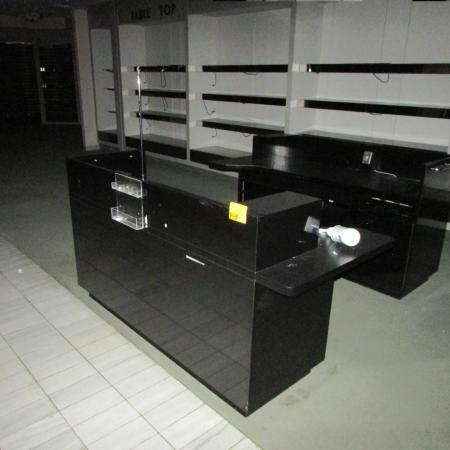 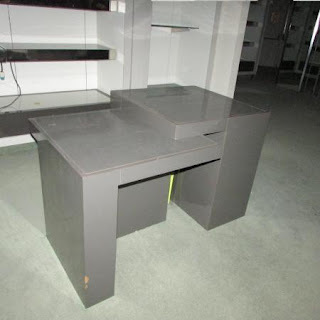 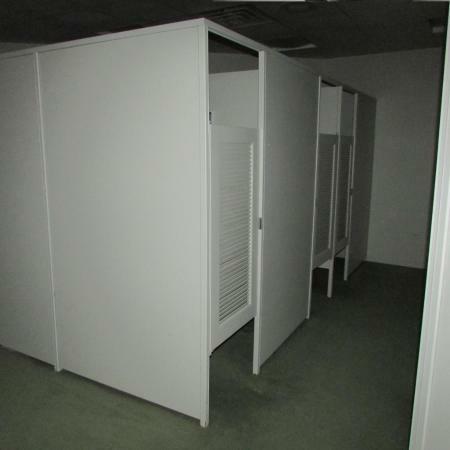 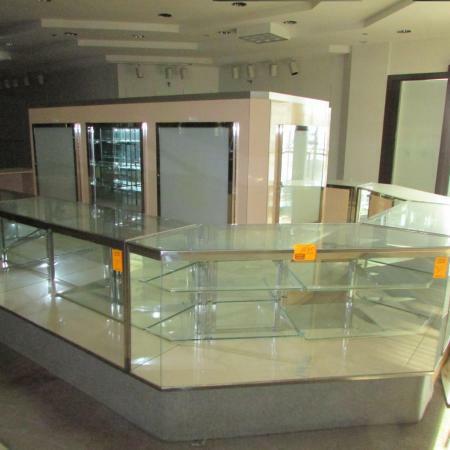 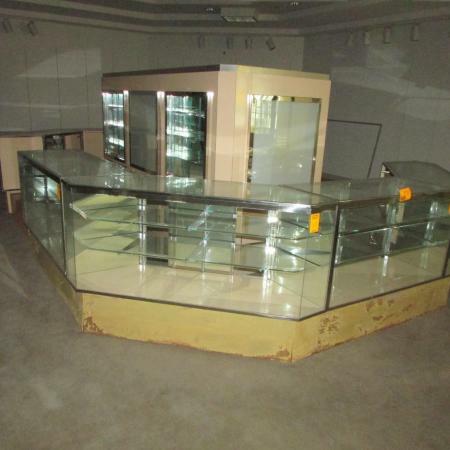 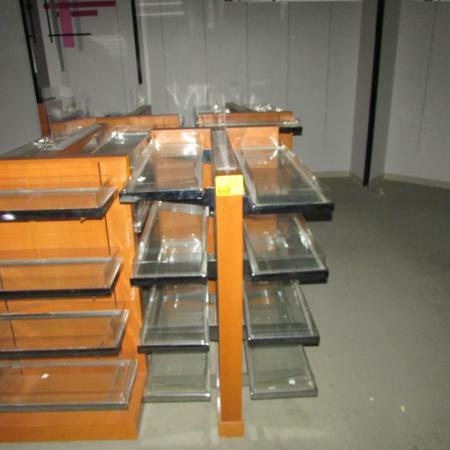 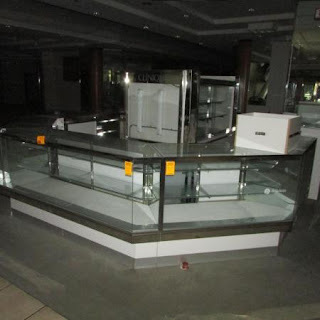 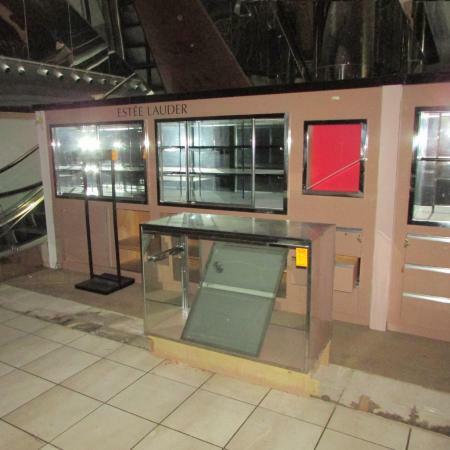 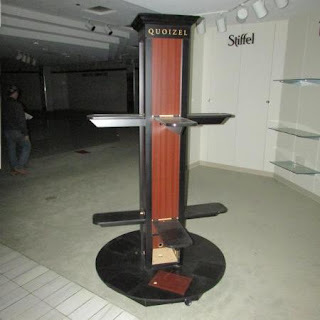 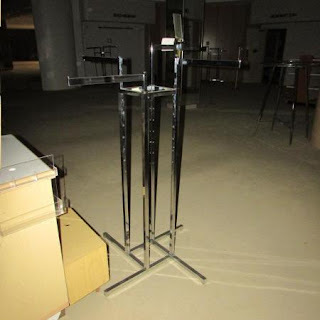 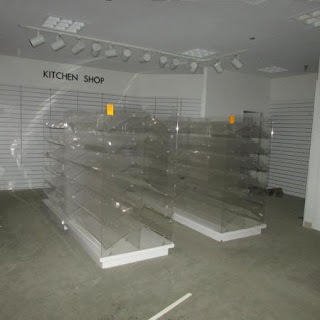 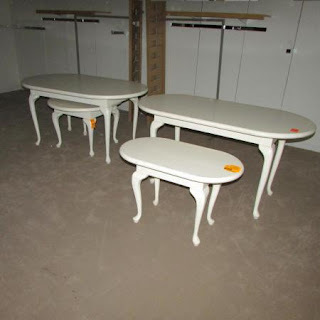 These are pictures from the Owings Mills Mall auction. 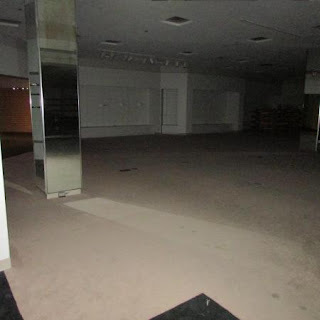 This was the Bambergers/Macys/Boscovs building. 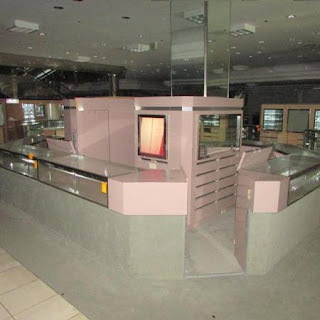 It was breifly Bambergers in 1986 and then Macy's until 2006 when the moved to the Hechts space it became Boscovs at that point. They closed in 2008. 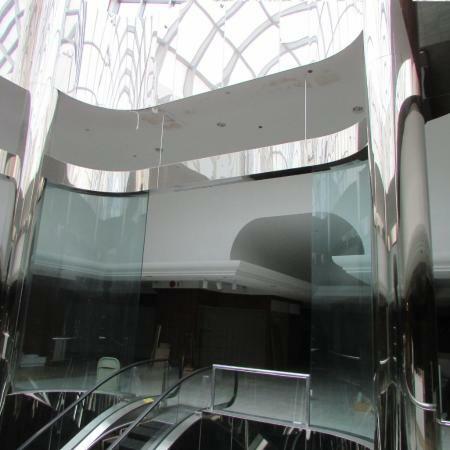 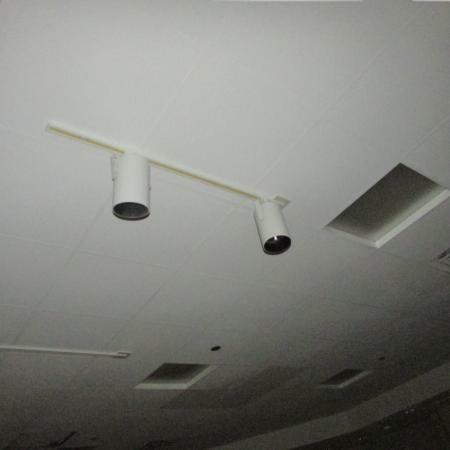 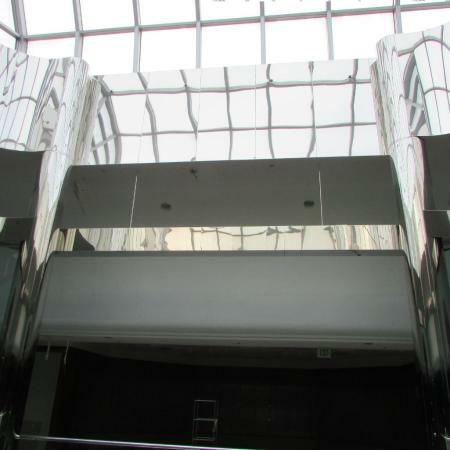 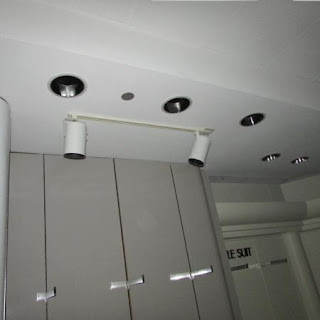 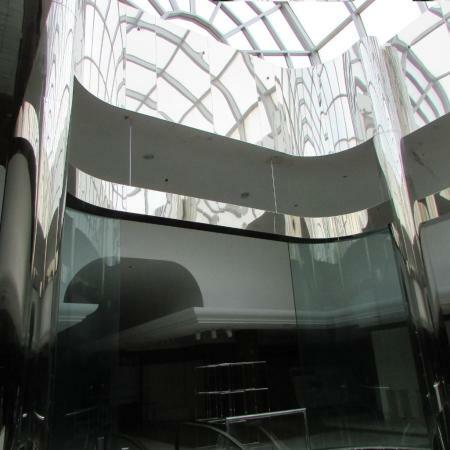 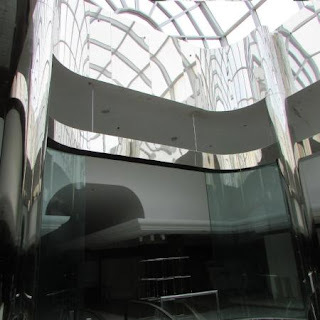 The building was 3 levels and 300,000 sqft. 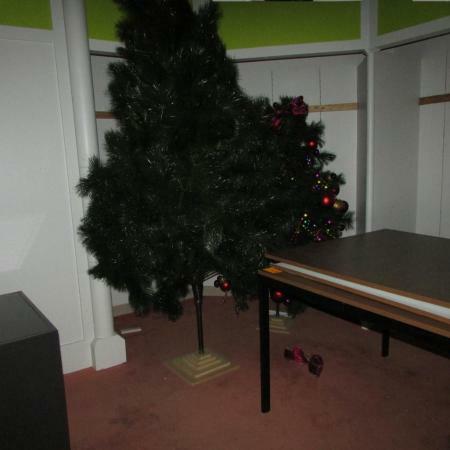 It was demolished with the rest of the mall in 2016.